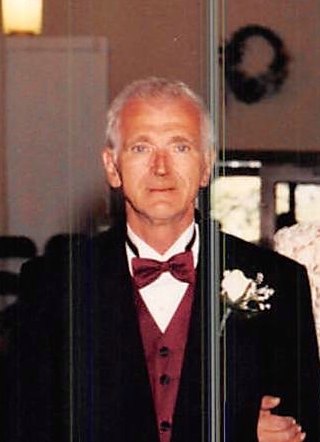 Dominick Gisondi, 77, passed away peacefully at JFK Hospital in Edison, NJ. He was born and raised in Pallo Delcolle, Italy. He immigrated to the United States in 1955. Dominick spent most of his life in Union County, NJ. He was the owner and operator of D&G Club in Elizabeth, Summer St. Grocery in Elizabeth, D&I Auto Sale in Elizabeth and most recently Grand Ave Grocery in Rahway, NJ. He was a loving father, grandfather, great grandfather and brother and will be greatly missed by all. Mr. Gisondi is predeceased by his wife Irene in 2010, brother, Oronzo and sister Maria Moraglia. Dominick is survived by his children, Frances Gisondi, Giacomo Gisondi and Edward Gisondi, grandchildren, Evelyn Gisondi, Veronika Gisondi, Dominick Gisondi, Edward Gisondi, Giocomo Gisondi, Nicolangelo Gisondi and Anthony Gisondi, great grandchildren, Amaya and Joel. Also survived by his brother Nicolangelo Gisondi and his 2 sister Loretta LoBrale and Grace Georgevich and her husband Michael. Visitation will be held on Tuesday and Wednesday 2-4 & 7-9PM at the Krowicki-McCracken Funeral Home 2124 East St. Georges Ave., Linden, NJ 07036. Funeral Mass will be held on Thursday, April 18, 2019 at 10AM At St. Anthony’s Church, Elizabeth, NJ. Entombment will take place at St. Gertrude’s Cemetery, Colonia, NJ.